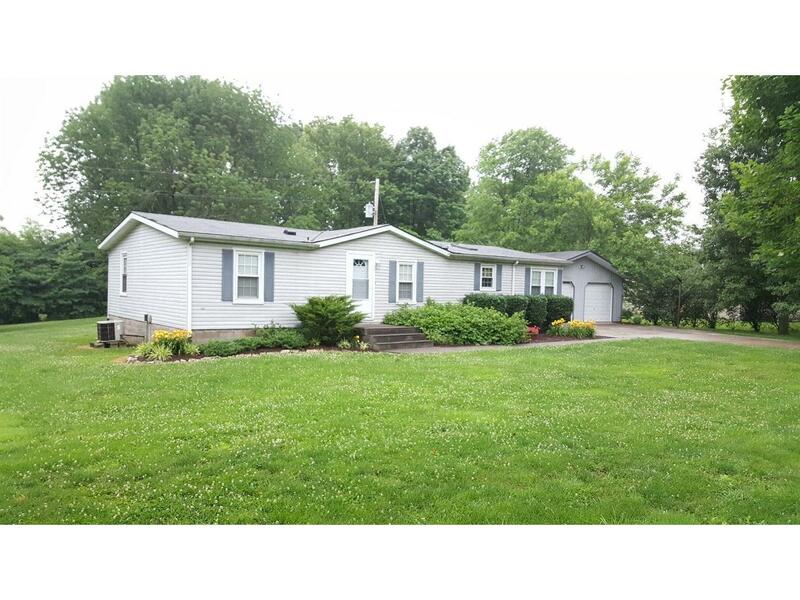 Located in the country but 10 mins to ski slope & close to Interstates! 2 car detached garage: 36x24 w/cement floor plus cement drive. Newer HW Heater,bathroom,&more!Roof Shingles & skylights approx 10 yrs old.Lg closets in all 3 bdrms. Spacious eat-in kitchen, open dining & living rooms. Vacant land tract across road from house included. 1 yr HOW.